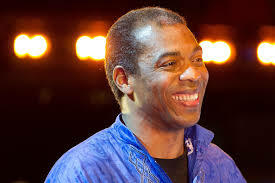 Afrobeat singer and Grammy Award nominee, Femi Kuti is scheduled for surgery at an undisclosed hospital. 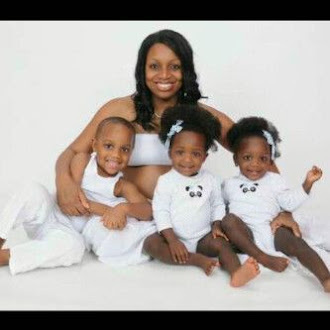 According to reports, the scion to the late Fela Anikulapo Kuti's dynasty is expected to be operated upon by a group of surgeons to correct an undisclosed ailment. It was further gathered that the Femi Kuti would not be performing his usual gigs at the New Afrikan Shrine situated in Agidingbi area for a couple of weeks. In a statement by the management of the Afrikan Shrine, the singer's Positive Band would be entertaining fans and patrons of the shrine till the return of the Bang Bang singer. "THIS IS TO INFORM OUR FANS AND LOVERS OF AFROBEAT THAT THERE WILL NOT BE SUNDAY JUMP ON 22-11-15 BECAUSE AMBASSADOR FEMI KUTI IS GOING FOR AN OPERATION AND WILL NOT BE ABLE TO PERFORM FOR A COUPLE OF WEEKS. WE WILL KEEP ALL UPDATED ON THE SCHEDULE OF WHEN THE POSITIVE FORCE BAND WILL PLAY AS OUR PRAYERS ARE WITH AMBASSADOR FEMI KUTI, AFROBEAT FOREVER," the statement reads. Femi Kuti recently returned from a trip to Cotonou, where he had honoured an invitation from the Gambe Band after he had been busy with his band boys for a recording session earlier in the week.